Hot on the heels of the Wolf Ridge, Marin introduce the Marin Mount Vision with the R3ACT–2 Play suspension system from Naild. The Marin Rift Zone 1 is the entry-level bike in the range. Designed as a 120mm travel 29er trail bike, all Rift Zones share the same alloy frame. The new Marin Alpine Trail 150mm travel 29er might look generic from the side, but jump on board and it’s anything but run of the mill. The Marin Hawk Hill has nearly all the makings of a great bike. The frame is solid, the sizing is on point and the specification is competitive. The Marin Pine Mopuntain rides more like an adventure bike than a trail hardtail designed to get your pulse racing. 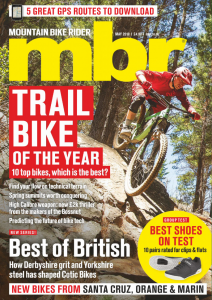 With 20mm more travel, revamped geometry and a new chassis the 2011 Mount Vision XM9 is climbing up the trail bike charts.